Working with leather is one of those things that I have desperately wanted to learn more about. 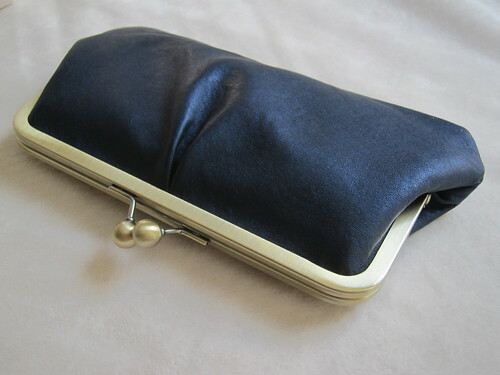 I love the idea of making bags with leather accents and small wallets and change purses as gifts for friends. There is something about a few pieces of leather that make the finished product seem so much more "professional". While back in Toronto over the holidays, I signed up for a quick leather clutch class at the Workroom. In addition to being a welcome break from the intensity of a holiday with the in-laws, it was nice to spend some time back in my old stomping grounds. Sewing with leather was much simpler than I thought it would be. 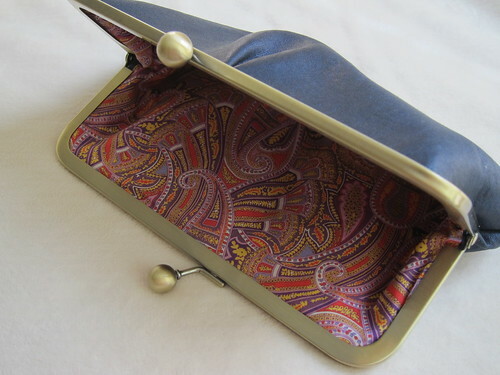 After a few short hours, I had a super cute metallic leather clutch, lined with some paisley Liberty Tana Lawn, of course! Have I mentioned my obsession with plaids and paisleys. I'll buy almost any fabric if it has paisleys or plaid (in fact, I bought two yards of this lining print when a 1/4 yard would have been more than enough). Ask Kelsey, she's talked me off the ledge more than a few times. 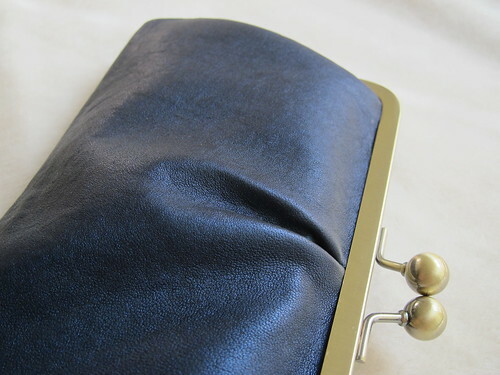 The leather I used for this clutch was paper thin so I ended up interfacing it to give the bag a little more body. 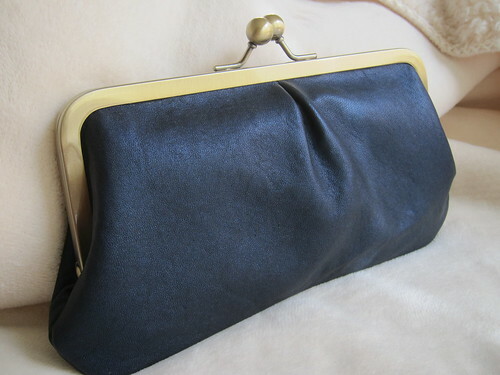 The finished bag is professional looking and decadently elegant (I am especially taken with the little pleat). This project has me hooked!! I've already found my next leather work class. Perfect timing since I'll have to make something with leather for our next traditional anniversary gift. Wow, what a great job you did Amanda. Love the lining! It's so elegant. I just checked out that link to the workroom, and might have to take that class. Thanks for posting about it. Perfect timing for this post as my silver leather just arrived in the mail today and I CAN'T WAIT to get stitching!!! Fantastic looking clutch!!! I kept looking at the pleat too, thinking how perfect it looks!! On the topic of perfect..... The lining is perfect too!! Love paisley!! !